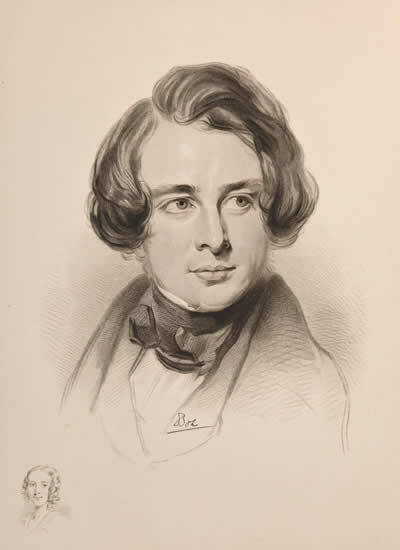 Charles Dickens was born on February 7, 1812 in Portsmouth. The city is located in Hampshire, England. His parents were John and Elizabeth Dickens. Charles was the second of their eight children. John Dickens was a clerk in a payroll office of the navy. He was born in 1785 and died in 1851. 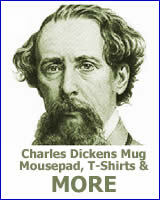 He inspired the character of Mr. Micawber in David Copperfield. Elizabeth Barrow was born in 1789 and died in 1863. She married John Dickens in 1809. She inspired the characters of Mrs. Nickleby in Nicholas Nickleby and Mrs. Micawber in David Copperfield. John and Elizabeth Dickens were an outgoing, social couple. They loved parties, dinners and family functions. In fact, Elizabeth attended a ball on the night that she gave birth to Charles. Finances were a constant concern for the family. The costs of entertaining along with the expenses of having a large family were too much for John’s salary. When Charles was just four months old the family moved to a smaller home to cut costs. Mary Weller was an early influence on Charles. She was hired to care for the Dickens children. Her bedtime stories, stories she swore were quite true, featured people like Captain Murderer who would make pies of out his wives. From a very young age Charles dreamed of becoming a gentleman. He wanted an education. His parents did have some limited funds put aside to send one of their children to a university or academy. Mr. and Mrs. John Dickens considered the talents and qualifications of all their children. They wanted to use the money earmarked for education where it would do the most good. It was as if they were placing all their bets on one child. Charles was not that child. His parents chose to send their daughter, Fanny, to school. She had a talent for music and was sent to an academy. 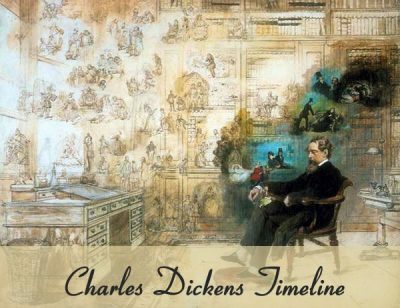 Then came the darkest hours in the life of Charles Dickens. When he was 12 it looked like his dreams would never come true. John Dickens was arrested and sent to the Marshalsea prison for for failure to pay a debt. At that time the family sent Charles to work in Warren’s Blacking Warehouse. It was a shoe polish factory where Charles worked long hours attaching labels on pots of blacking. He earned six shilling a week. As a side note, while employed there Dickens met Bob Fagin. 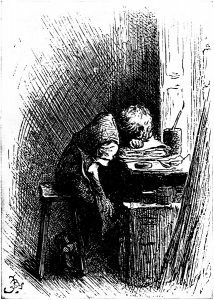 Charles later used the name in Oliver Twist. Luckily, John Dickens was able to come to an agreement with his creditors within a few months of his imprisonment. Shortly after that John Dickens ended his son’s employment at the blacking factory. Charles’s mother, Elizabeth, wanted her son to return to work at Warren’s. 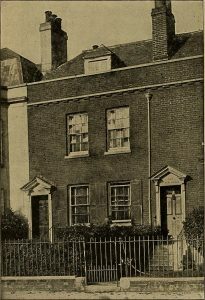 John Dickens won the disagreement and Charles was sent to Wellington House Academy instead. Dickens was deeply marked by these experiences. He rarely spoke of this time of his life.